Heralding Pahela Falgoon (1st day of Spring) today. 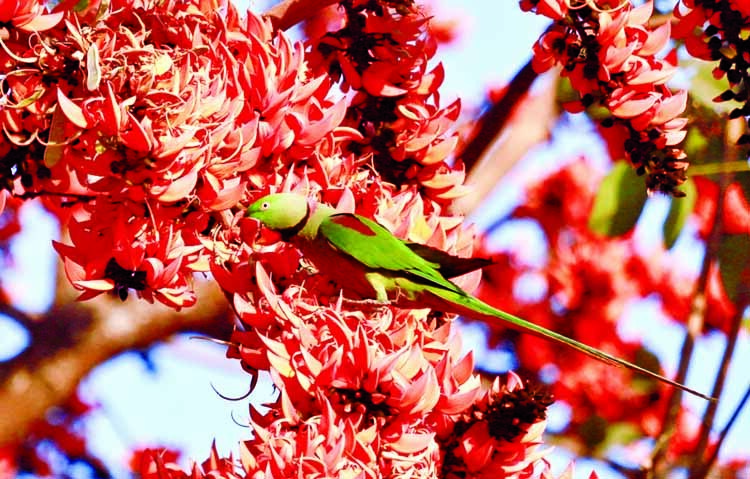 A parrot was seen crowding the blooming Palash Flower's trees around Curzon Hall of DU on Tuesday. 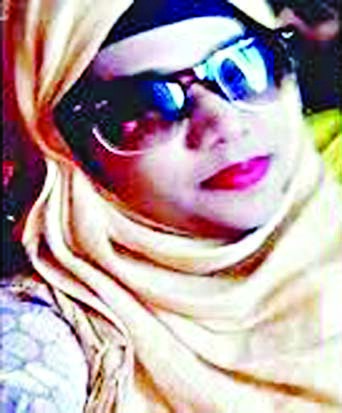 The flower growers and traders in Dhaka, JashoreÂ and Chattagram are passing a busy time for a lucrative sale of flowers ahead of Pahela Falgun, Valentine's Day and Ekushe February. The business insiders are optimistic of transacting more than Tk 200 crore in this month. 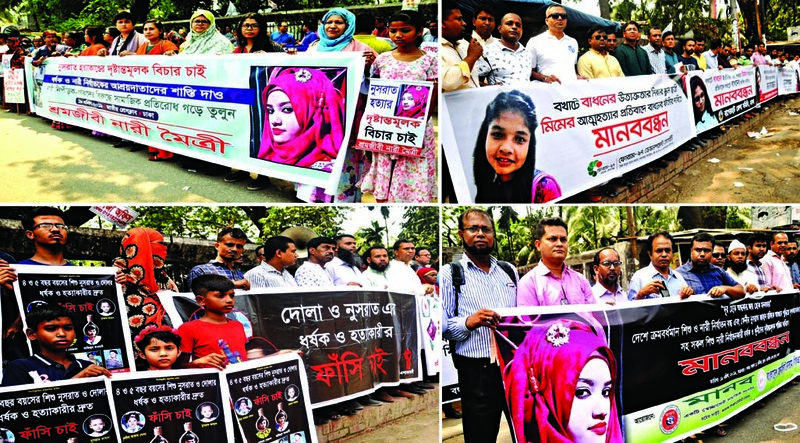 On the occasion, many people, especially the teenagers are swarming to the flower shops to buy flowers, floral gifts and boutiques to celebrate the Pahela Falgun, Valentine's Day and Ekushe February, international mother language day widely observed across the country. China rose at Tk 40, Lily at Tk 300, Rajanigandha at Tk 15 to 20 and Gerbera was selling at Tk 15-25 per stick or piece at the flower shops of Shahbagh. 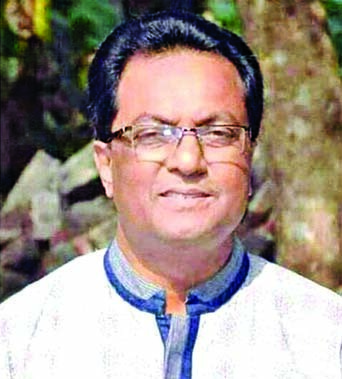 Abul Kalam, president of floating hawkers' association at Shahbagh, said they hope for a huge sale as many people used to come to the Ekushey Book Fair on the day to celebrate Pahela Falgun.